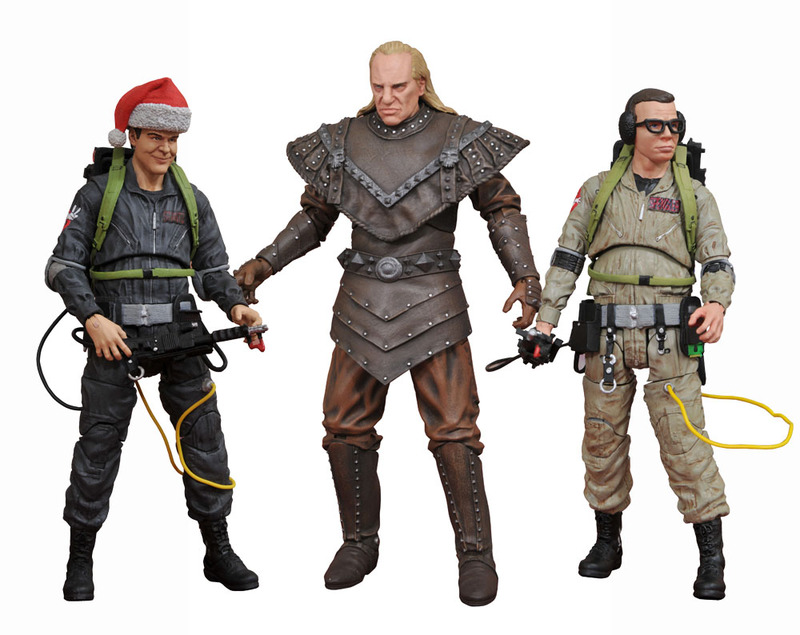 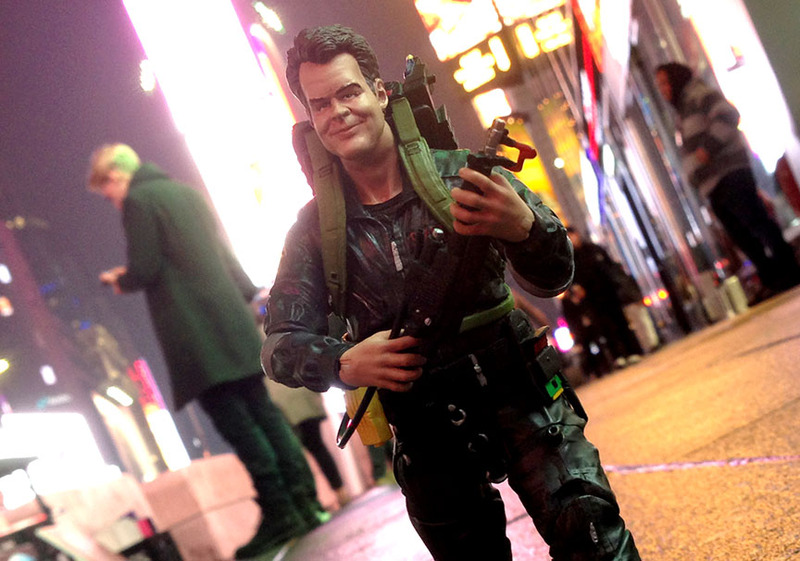 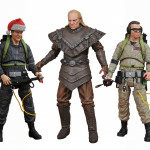 “We’re Back” Ray Stanz, Geared Up Louis Tully and Vigo the Carpathian launch the Ghostbusters 2 line, with exclusive diorama pieces in Select packaging at comic shops and specialty stores. 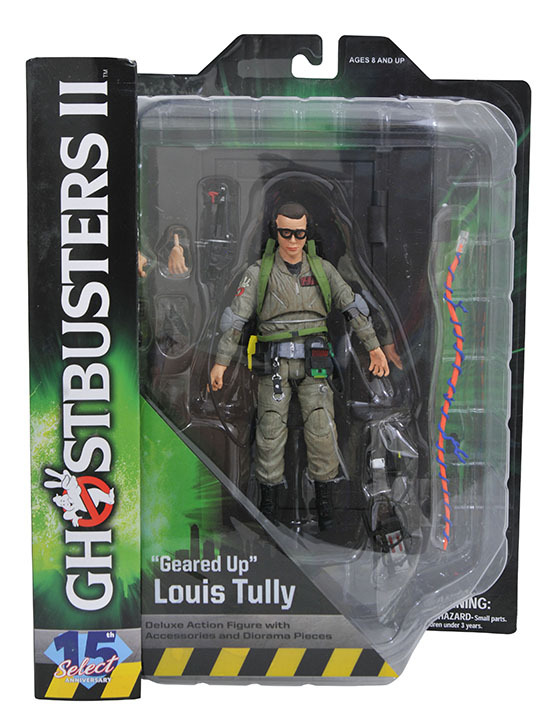 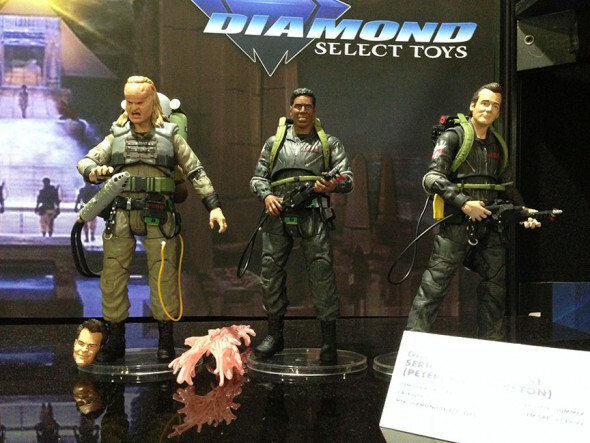 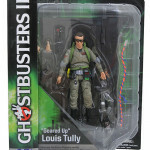 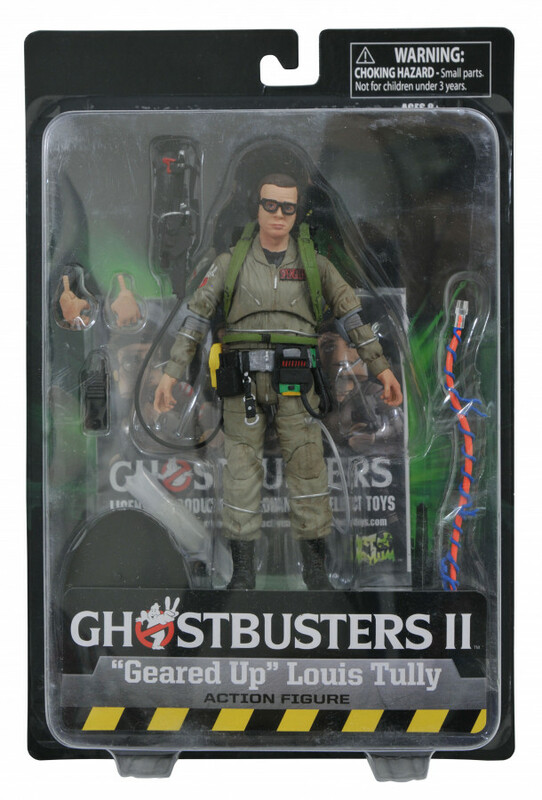 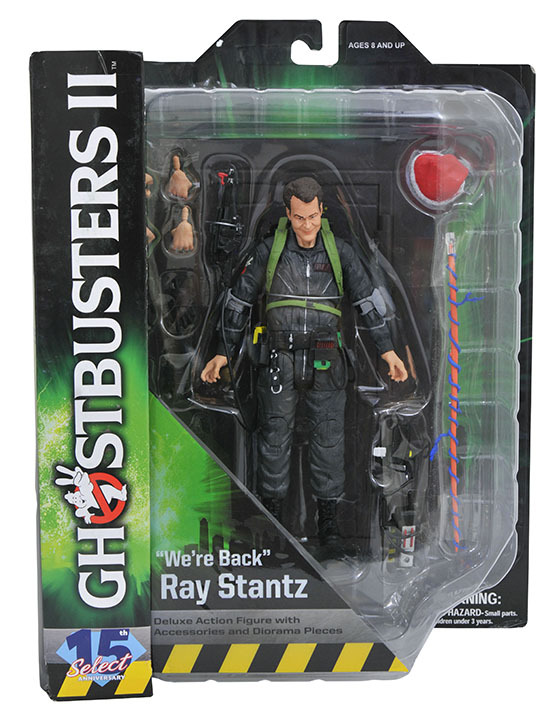 Ray and Louis each come with a proton pack, walkie-talkie, ghost trap, alternate hands and proton stream. 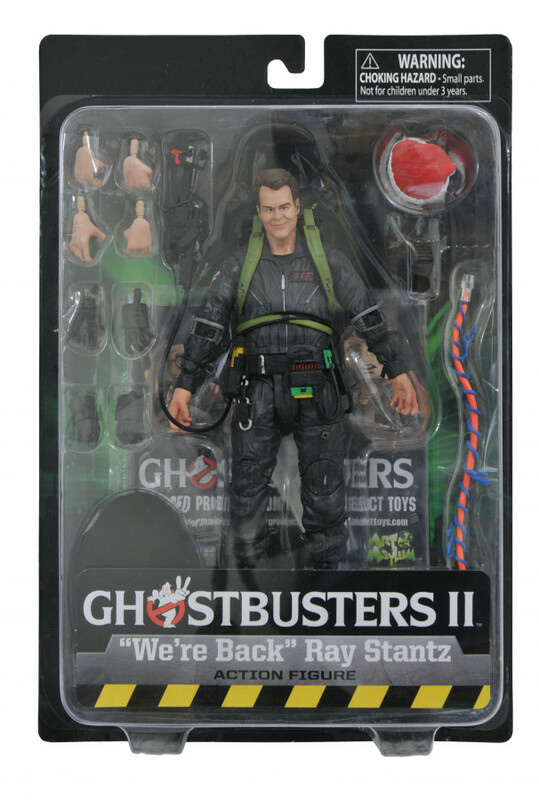 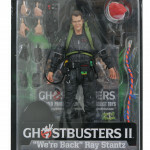 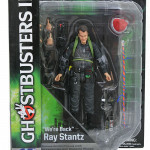 Ray, in his grey jumpsuit, comes with additional gloved hands and a removable Santa hat, as seen in Ghostbusters 2. 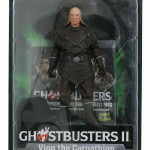 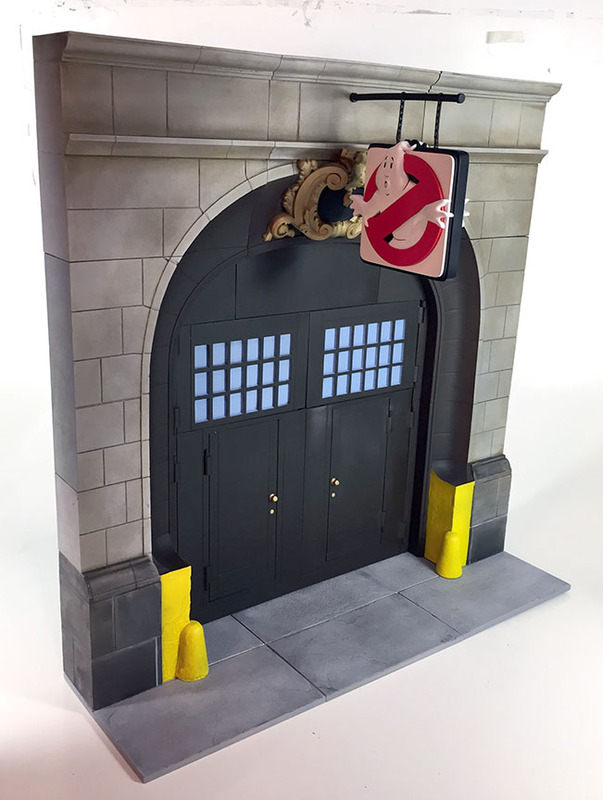 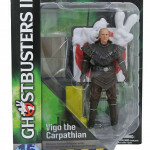 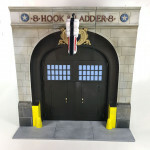 The Select versions of Ray and Louis each come with a front door of the firehouse, while the Select version of Vigo the Carpathian comes with the sign from Ghostbusters 2, as well as a corner segment of the building. 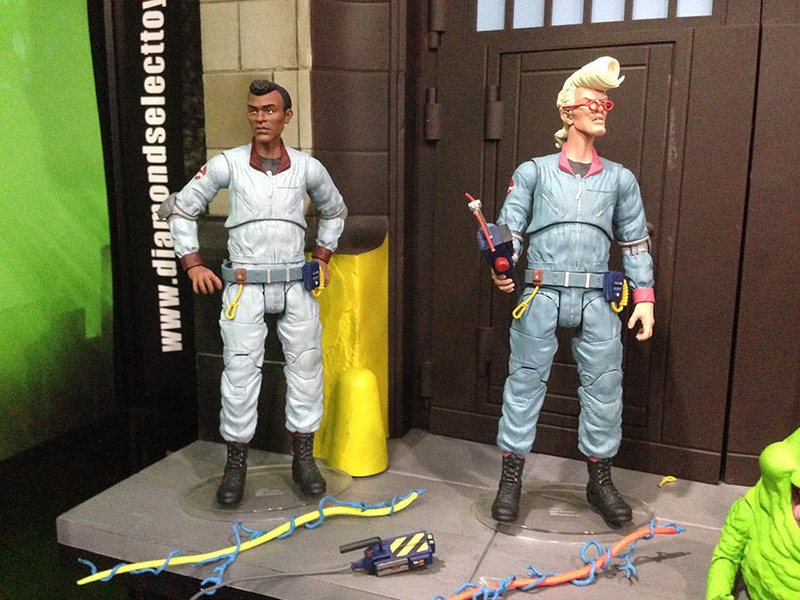 Pre-orders are open for Series 7, with “We’re Back” Egon Spengler in grey, Slime Blower Winston Zeddemore and museum employee Janosz Poha. 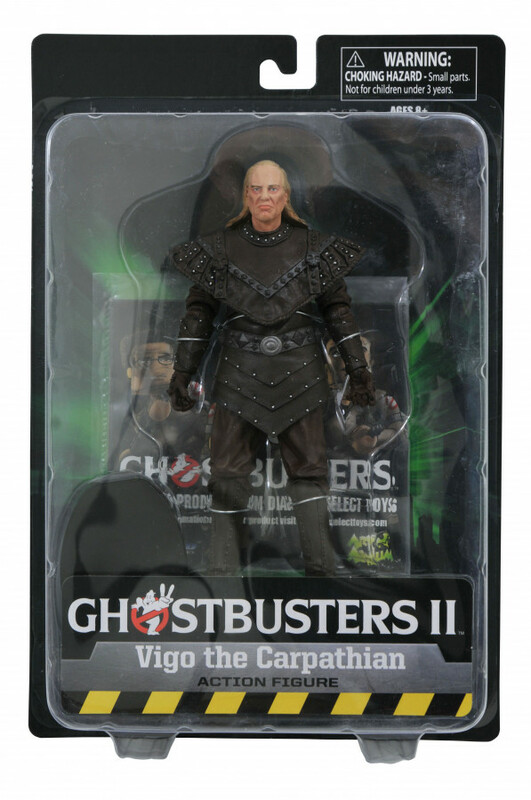 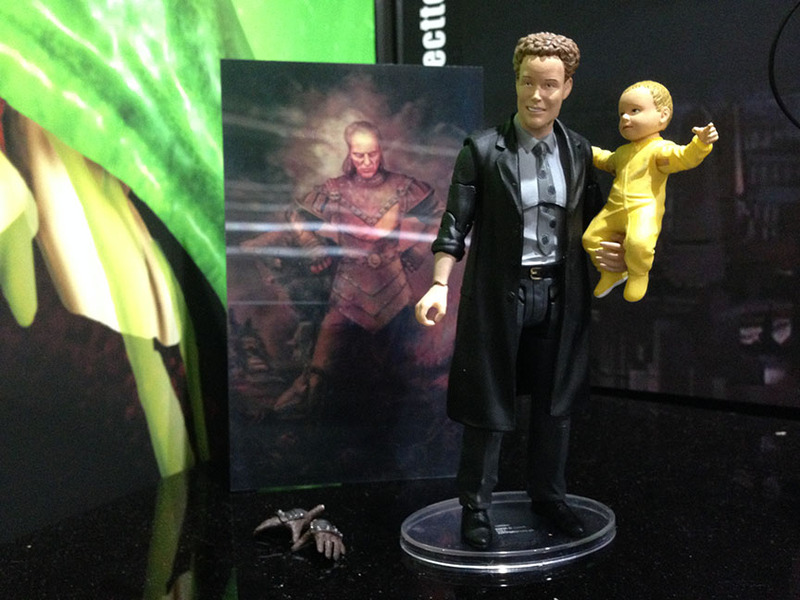 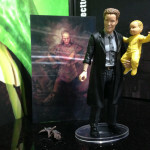 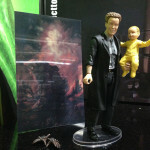 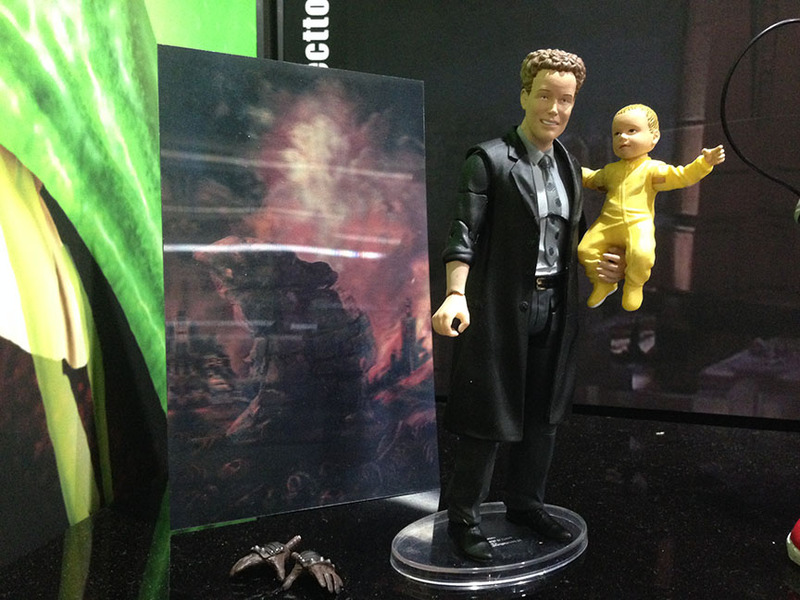 Janosz will be exclusively available at comic shops and specialty stores, in Select packaging, with Oscar, a lenticular disappearing Vigo painting, and a pair of baby-holding hands for Vigo. 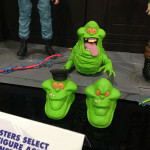 They should ship this summer. 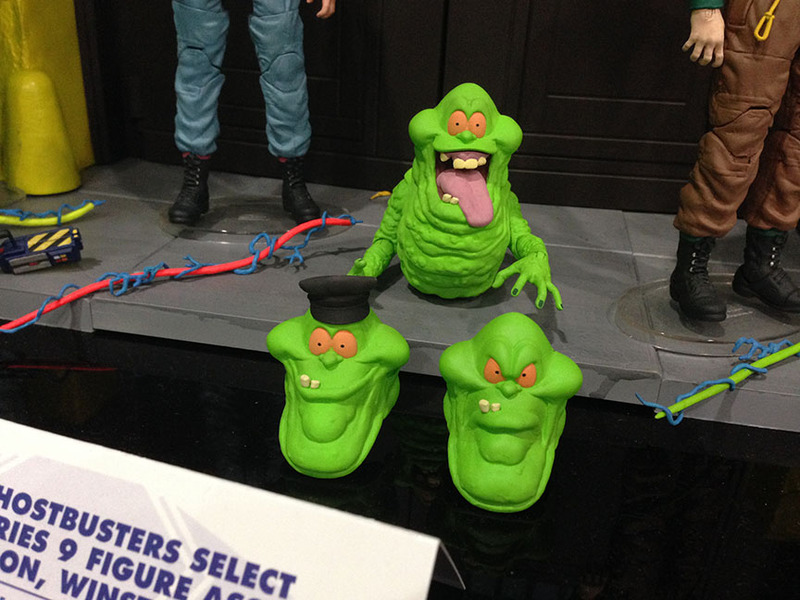 Just unveiled at the New York Toy Fair, Series 9 and 10 of the Ghostbusters line will feature the Real Ghostbusters, from the 1980s cartoon of the same name. 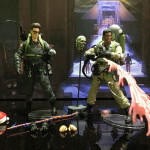 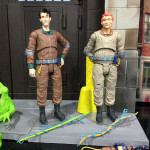 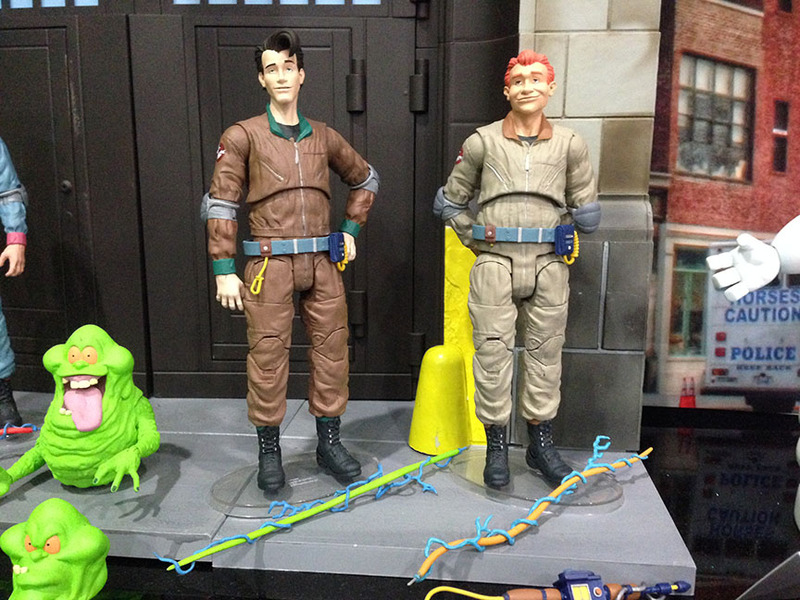 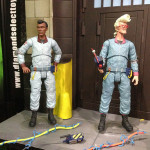 Egon, Winston and Slimer star in Series 9, with all new heads and gear for Egon and Winston, and new faces for Slimer. 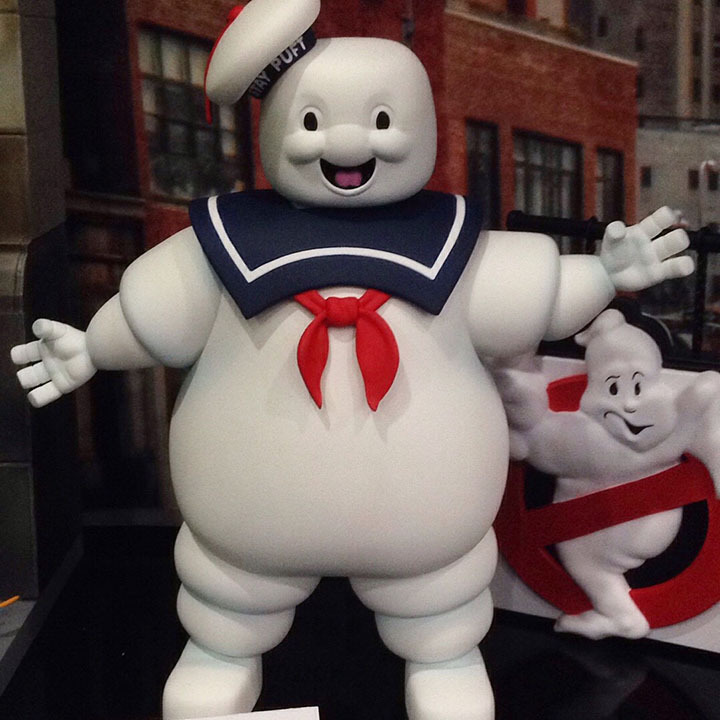 Series 10 will feature Peter, Ray and a fully articulated 9-inch Stay-Puft Marshmallow Man. Each will come with a piece of the firehouse diorama at comic shops and specialty stores, and they will be solicited for pre-orders later this year, for a winter release. 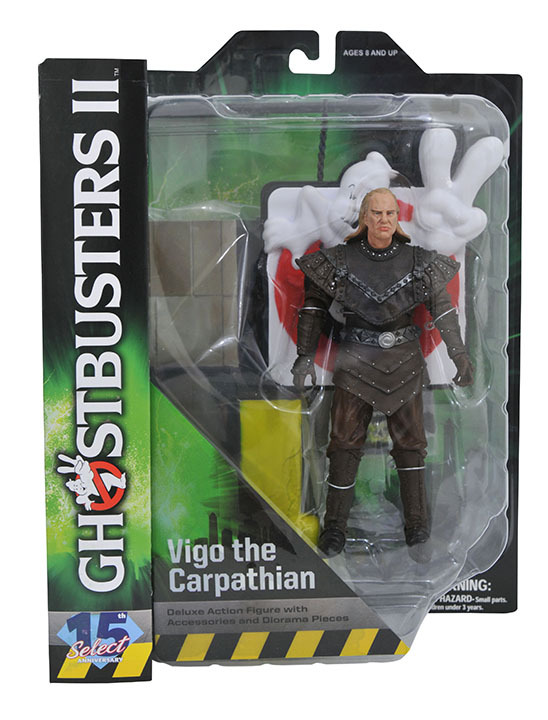 With the exception of Janosz Poha, who will be replaced with a translucent Terror Dog with two sets of horns, non-diorama versions of all fifteen figures will be available at Toys”R”Us in thinner packaging, with some (but not all) of the accessories and interchangeable parts. 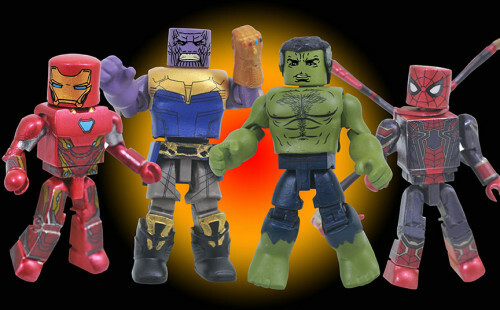 Next Up: Avengers: Infinity War Begins with Diamond Select Toys! 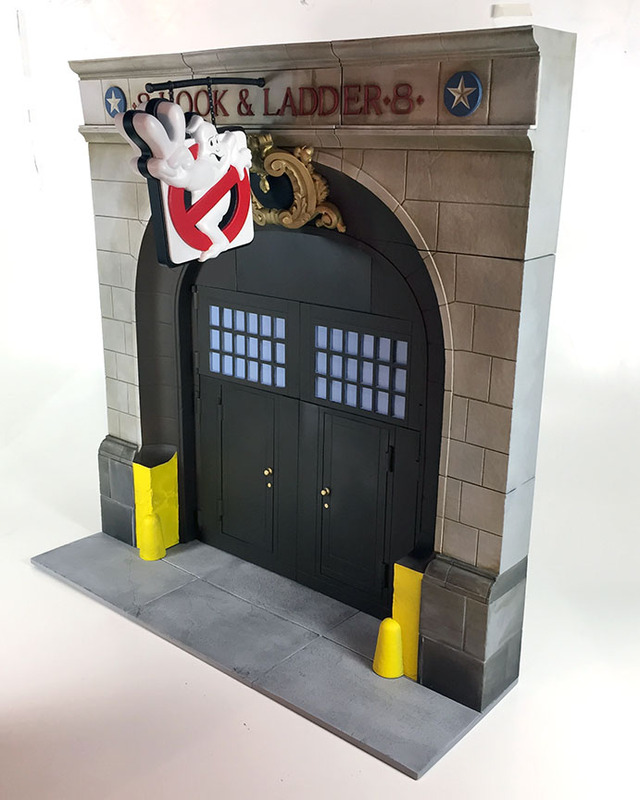 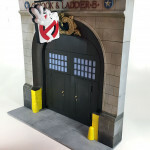 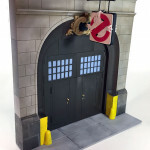 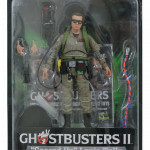 Ghostbusters Select Action Figures Continue to Build the Firehouse! 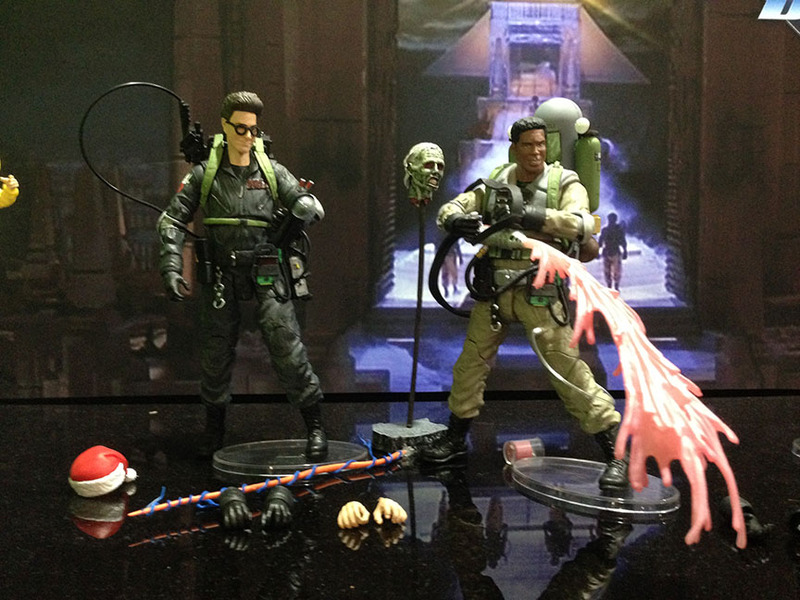 In Stores Now: Three New Ghostbusters and One Big Ant-Man!